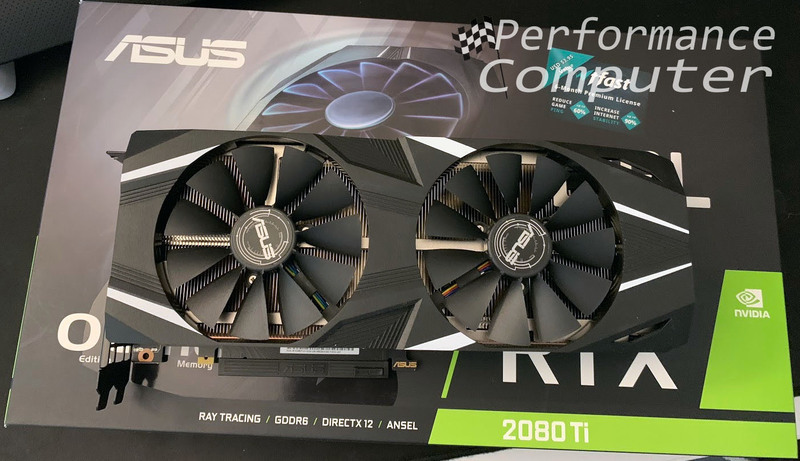 ASUS’s custom GeForce RTX 2080 Ti graphics card runs cool, delivers fantastic single card performance and introduces ray tracing and AI-enhanced graphics, being the top choice among the new generation of RTX GPUs. Make no mistake, this is a monster graphics card designed for enthusiasts and it comes with a hefty price tag almost as large as its heatsink. However, as you’ll find out, it simply can’t be beat in the performance department and if you’re building a computer to run games at high resolutions or refresh rates, this may be right card for you. This is very much a preliminary review, we will be updating this article with additional results and benchmarks after water cooling it in our next build guide. Comparison benchmarks with the GeForce GTX 1080 Ti, GTX 1080’s in SLI and single GTX 1080 both stock and overclocked will be included in our upcoming Ultimate GeForce GTX & RTX GPU Benchmark Comparison Guide. Follow us on Twitter for updates on our upcoming articles. 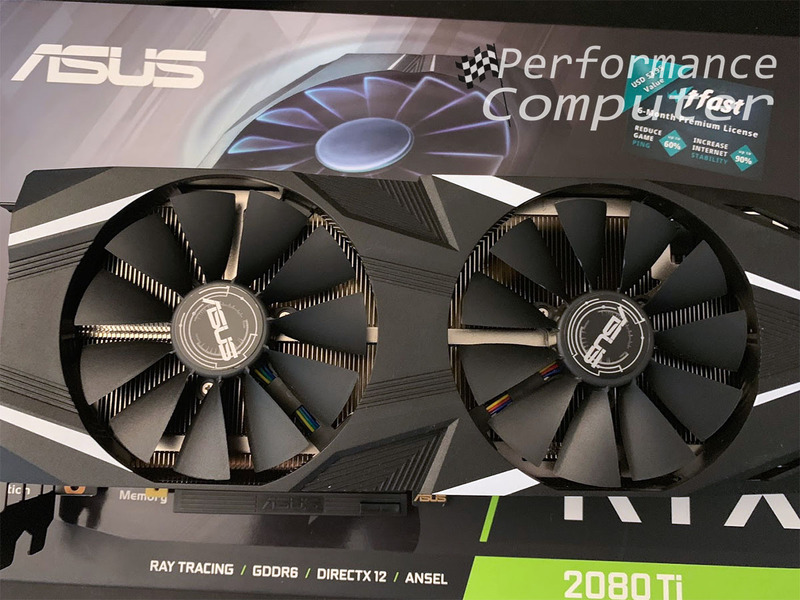 The ASUS RTX 2080 Ti Dual OC box shows off the shroud design as well as the two large fans that cool the GPU. The rest of the box is surrounded by the words “OC edition”, “11GB GDDR6 Memory” as well as “Ray Tracing”, “DirextX12” and “Ansel”. 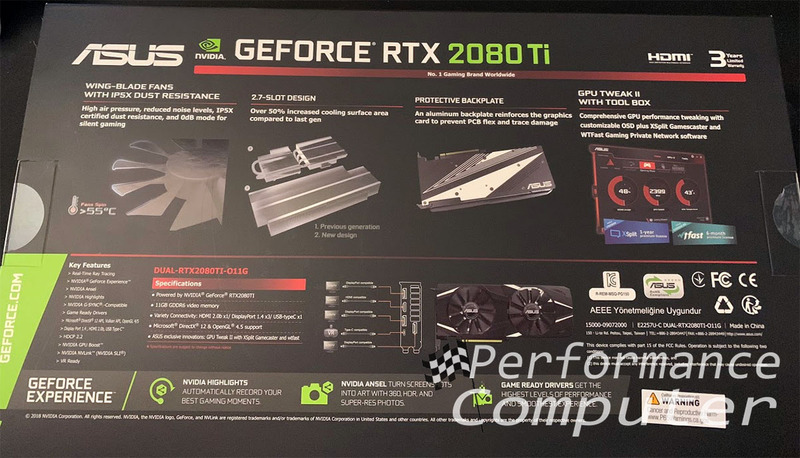 The back of the box shows off some of the RTX 2080 Ti Dual OC’s key features such as its wing-blade fans which claim to have high air pressure, reduced noise levels, IP5X dust resistance as well as a 0db mode for silent gaming. Additionally, the 2.7-slot design is compared to the previous generations smaller heatsink. ASUS claims that the cooing surface has been increased by 50%. 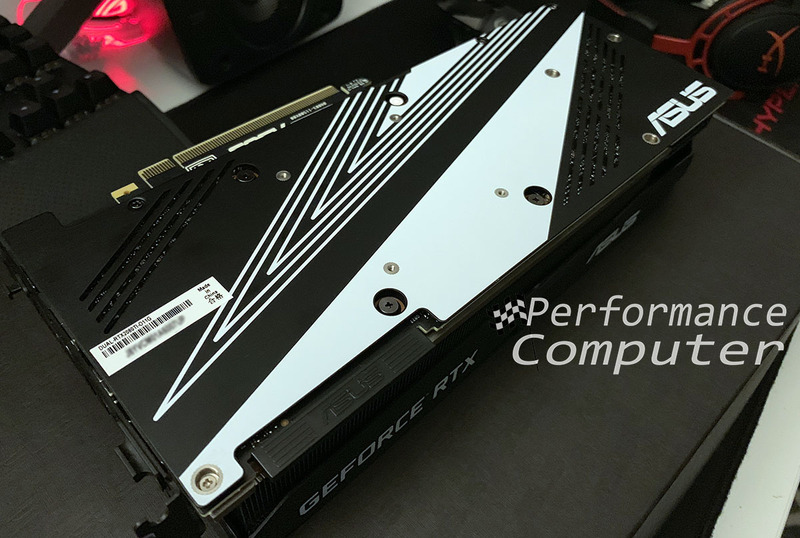 The aluminum backplate is displayed here as well, its protective benefits include reinforcing the graphics card to prevent PCB flex and trace damage. 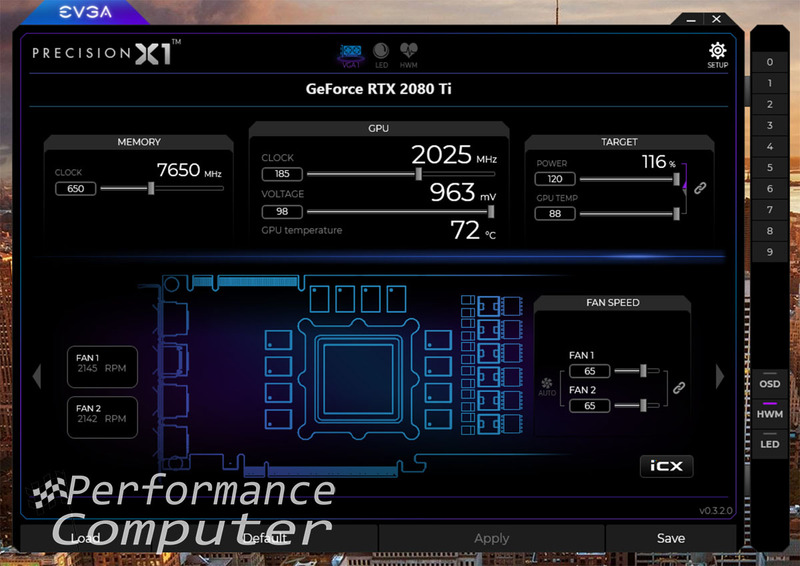 A screenshot of ASUS’s GPU Tweak II with tool box is last and shows off the GPU performance tweaking, XSpilt integration and WTFast gaming private network software. Finally, a key features, specs and port overview section can be found below. The backplate is rather thick and has a quality feel to it. It’s got the ASUS logo in the bottom right corner as well as a few vents on each side. Screws and a white and black patter dominate the remainder of the aluminum backplate. The front of the card shows off its two massive fans and giant shroud. It doesn’t look so big in this picture but in the next one you’ll see just how thick it is. Here you can see this 2.7-slot card in all its glory. Simply put, this is a beefy cooler and it performs quite well as you’ll see below. Here are the ports on the back of the card. 3x DisplayPort 1.4, 1x HDMI 2.0b and 1x USB Type-C. When installed in a case, there is a slight amount of sag because the heatsink weighs so much. It’s not bad but is worth mentioning, however the thermals the heatsink provides are more than worth it. It’s a great looking card and users with windowed cases will certainly appreciate this. This card is great at overclocking, however the power limit of 120% is a little disappointing. We easily managed to overclock it to 2025 MHz with a +650 on the memory but the card can probably reach 2100 MHz after some fine tuning. Thermals on the ASUS GeForce RTX 2080 Ti Dual OC are stellar. Ours idles between 35° to 40° in the testing system with an ambient room temperature of 22° and sees a max load temperature of 68° under stress tests and intensive benchmarking. Generally, in gaming it reaches around 62°. The fans are not noticeable until they ramp up to 65% power and do become noticeably loud when turned all the way up to 100%, though this is to be expected. It’s also nice to be able to adjust individual fan speed as well as turn one fan off within overclocking software. The RTX 2080 Ti performs very well in the games we tested at both 1440P and 4K resolutions. All games were set to ultra graphics settings with Tom Clancy’s Ghost Recon: Wildlands being set to very high. Here are our preliminary results. 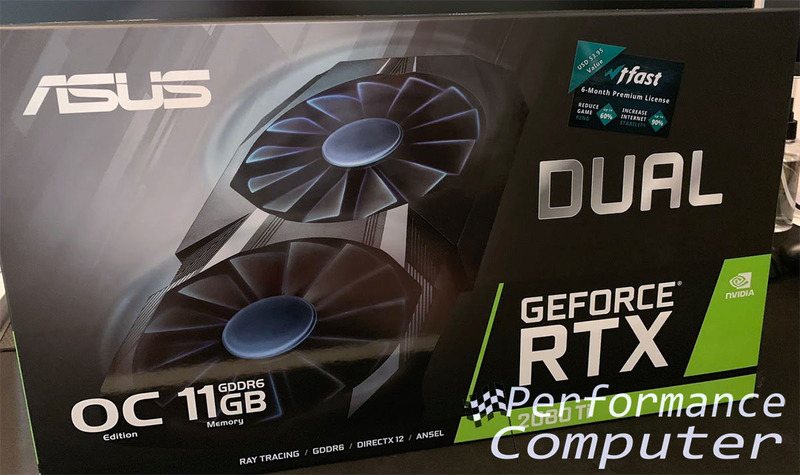 For more information on our testing system as well as a comparison to the RTX 2080 and GTX 1080 Ti, see our ultimate RTX/GTX graphics card benchmark comparison guide. We will be revisiting this card after watercooling it and pushing it to its maximum potential in our next build guide. 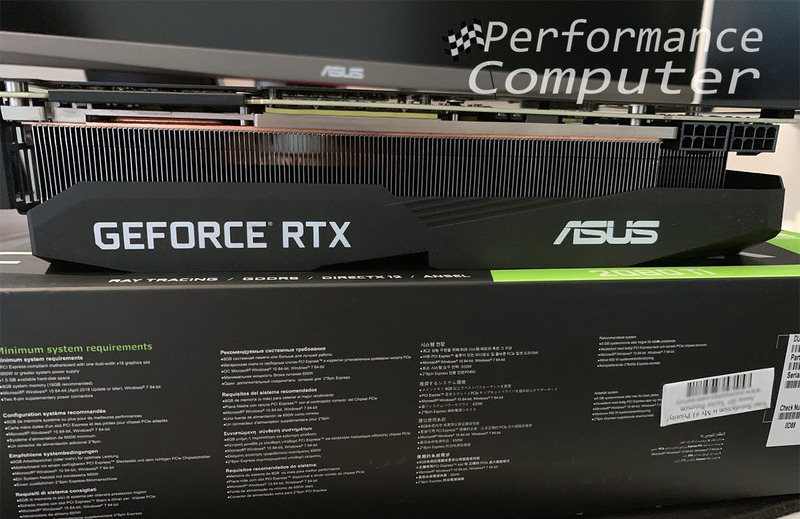 So far however, we have been impressed with the quality, performance and thermals of the ASUS GeForce RTX 2080 Ti Dual OC Graphics Card. 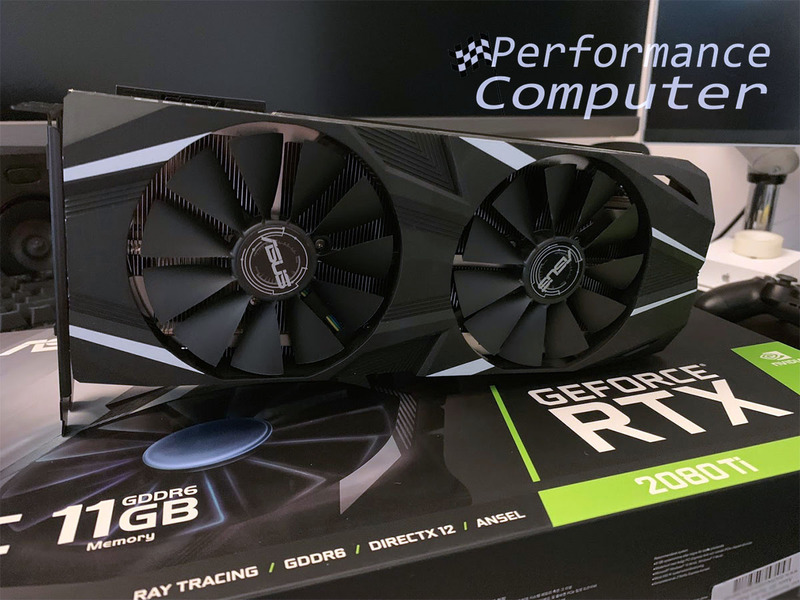 This massive GPU is not for the meek or those on a budget, this is a serious card for serious gamers and if you’re playing at high resolutions you will certainly appreciate the performance this terrific card delivers. 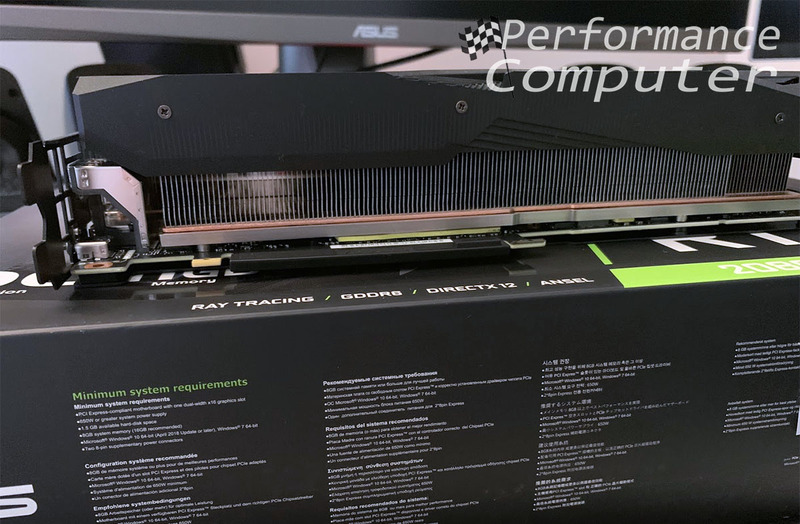 It is a fantastic one card solution and with performance like this, we can’t help but think in a generation or two, SLI may go away entirely.